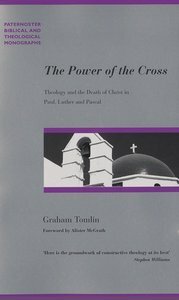 About "The Power of the Cross (Paternoster Biblical & Theological Monographs Series)"
Graham Tomlin is principal of St. Paul's Theological Centre at Holy Trinity Brompton, London. He was formerly vice principal of Wycliffe Hall, Oxford, and a member of Oxford University's Faculty of Theology. His books include Spiritual Fitness and Luther and His World.